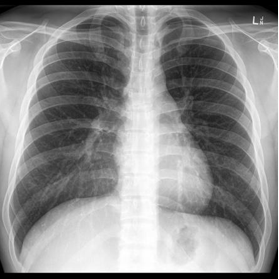 A chest x-ray is performed by standing or sitting between an x-ray machine and film. The x-rays pass through your body and create an image on the film. A chest x-ray gives doctors a look at your lungs, heart, ribs, and other structures in your chest.